According to Niche.com’s report 2018 Best Cities to Raise a Family in America, Naperville ranks at the top! Naperville comes in first place among 220+ American cities as best place to raise a family, best public schools, and safest city to live. Considering that the majority of Naperville residents own their own homes, most would assume the burden of maintenance falls solely on the homeowner. Thankfully, however, BSD Garage Doors is available to the Naperville community to help lift that load. 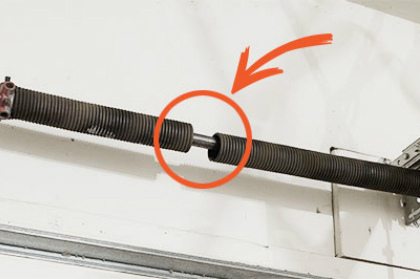 There are a variety of problems that can adversely affect your garage door and its mechanisms that one of the skilled technicians at BSD Garage Doors can help you diagnose. 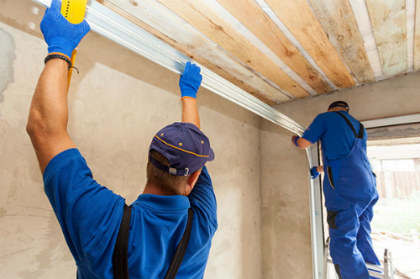 Conveniently, BSD Garage Doors offers free estimates and 24/7 emergency service calls in Naperville and the surrounding areas to help you solve even the most inconvenient garage door issues. Call today to schedule a free estimate and have your garage door repairs diagnosed by a BSD Garage Doors technician servicing Naperville. Oftentimes, people do not have the tools, the experience, or the time to tackle their own garage door maintenance, causing safety concerns and unnecessary frustrations. Always rest assured that we are available in Naperville to help when you need it. We even offer discounts to senior citizens and current AAA members. Enjoy the security, convenience, and safety of a properly functioning garage door, serviced by a family-owned business with over 10 years of experience. 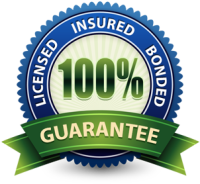 We are licensed, bonded, and insured in Naperville, Illinois, to serve all your garage door needs including: broken spring repair, noisy garage door repair, broken garage door sensor repair, garage door tune-up, garage door installation, electric garage door opener installation and repair, and outdoor/remote keypad solutions. Call today to schedule your free estimate from a BSD Garage Doors representative in Naperville for all your garage door maintenance and repair needs. Opening your garage with a remote is handy, but keeping track of the remote or putting it in a safe place in the car can be tricky. By installing a keyless entry system, you can open your garage door with a code that you program directly into the unit. If you have this unit installed on a post, you can open the door without getting out of your car. You can still open your door with a remote, but when you have this handy keyless option, opening your garage door has never been simpler! Covering as much as 30% of the front-facing real estate of your home, your garage door is too large to ignore. If it's broken, bent, or rotting, it detracts from the look of your home while reducing the functionality you need. An older, non-insulated model leaves the garage freezing cold in the midst of Naperville winters, and can make your home colder, also. BSD Garage Door offers you the most recent models of garage doors, along with excellent service whenever you need it. It pays to replace your garage door. The convenience of an electric garage door opener makes life so much easier than the difficulty of lifting a heavy door every time you would like to enter or exit the garage. Open your door, effortlessly and conveniently, with the help of an electric garage door opener and discover how much more often you will find yourself using your garage.